With so many options out there, let us help you choose what door will suite your business and needs! A commercial garage door should be durable, functional, and secure. Your business is your lifeline, and how you and your employees take care of your families, and you need to make sure it’s secure. The impact that a break-in could have on your commercial space could be irreparable. 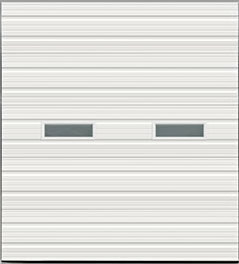 We offer multiple types of commercial garage doors, all with the same goal – to protect you, your employees, and your business assets. When you call, you’ll be able to work with one of our commercial garage door experts, who can assess your building, and your specific needs, and come up with an affordable plan that will keep you safe. Sectionals are the most common and cost-effective. These are made up of 6-8 panels that connect to a track and slide up. Steel is the most popular material, but these doors also come in wood, aluminum, fiberglass, and aluminum. 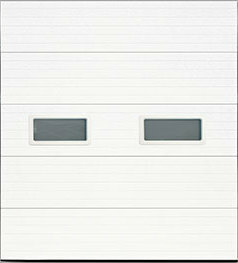 Rolling steel doors are used for warehouses and large storing facilities. 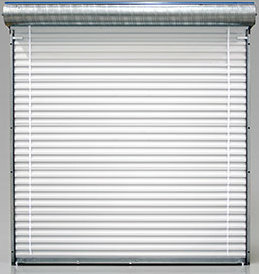 These are ideal for businesses that need to stay secure overnight and on weekends as they are made of corrugated steel. These usually open overhead, but there are side-folding styles available for places with space constraints. If you’re in a busy area and need to enter and exit your building quickly, you need a high-speed door. Don’t forget to get this in a durable material though as something weak won’t withstand the daily wear and tear. 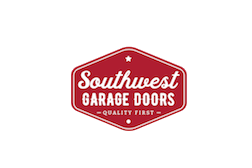 Call our experts at Southwest Garage Doors today, and let us help you figure out your needs, and come up with a solution that is beneficial for your business, and your budget. Built with a heavy 20, 24, 27 gauge Steel is used depending on what model chosen. With the interior and exterior sheeted in steel and polystyrene insulation in-between to form a sandwich effect. Built with a heavy 20, 24, 27 gauge Steel is used depending on what model chosen. With the interior and exterior sheeted in steel and polyurethane insulation in-between to form a sandwich effect.